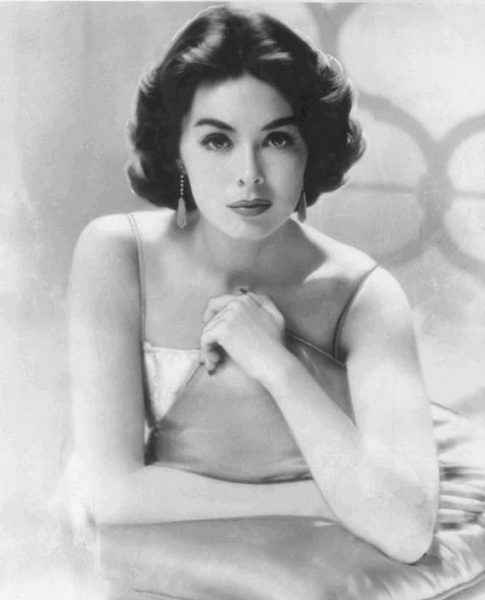 Actress Barbara Rush has shared memories of her long career with Stephanie Nolasco for Fox News. Born in 1927, she met a young Marilyn Monroe in the late 1940s, while both were residents at the Hollywood Studio Club, a home for aspiring actresses. In 1954, Barbara won the Golden Globe award as ‘Most Promising Newcomer – Female’ for her role in the sci-fi classic, It Came From Outer Space. She was then married to actor Jeffrey Hunter. She played the wife of James Mason in Bigger Than Life (1956.) Director Nicholas Ray, a mutual friend of Marilyn, offered the star – who was filming Bus Stop on another soundstage at Twentieth Century Fox – a cameo role in his film, but due to Marilyn’s nerves, it never transpired. In The Young Lions (1958) Barbara starred opposite Marlon Brando and Montgomery Clift, who would later work with Marilyn on her last completed movie, The Misfits. During this time Barbara also worked in television, including a memorable role as the devious Nora Clavicle in Batman. She also appeared in the Rat Pack musical, Robin and the 7 Hoods (1964), and with Paul Newman in the 1967 Western, Hombre. In 1970, Barbara won the prestigious Sarah Siddons Award (referenced in All About Eve) for her stage role in Forty Carats. She would later star in a one-woman Broadway show, A Woman Of Independent Means. She returned to her sci-fi roots with a recurring part as Lindsay Wagner’s mother in TV’s The Bionic Woman. Since 1997 she has lived at the Harold Lloyd Estate in Beverly Hills, where Marilyn was photographed by the former silent movie comedian back in 1953. Barbara’s most recent screen credit was in 2007, when she appeared in several episodes of another television series, Seventh Heaven. She is still active, having just made a short film and attending a Hollywood Museum exhibition, Batman ’66.